4"x6" stamp set containing 14 stamps total. 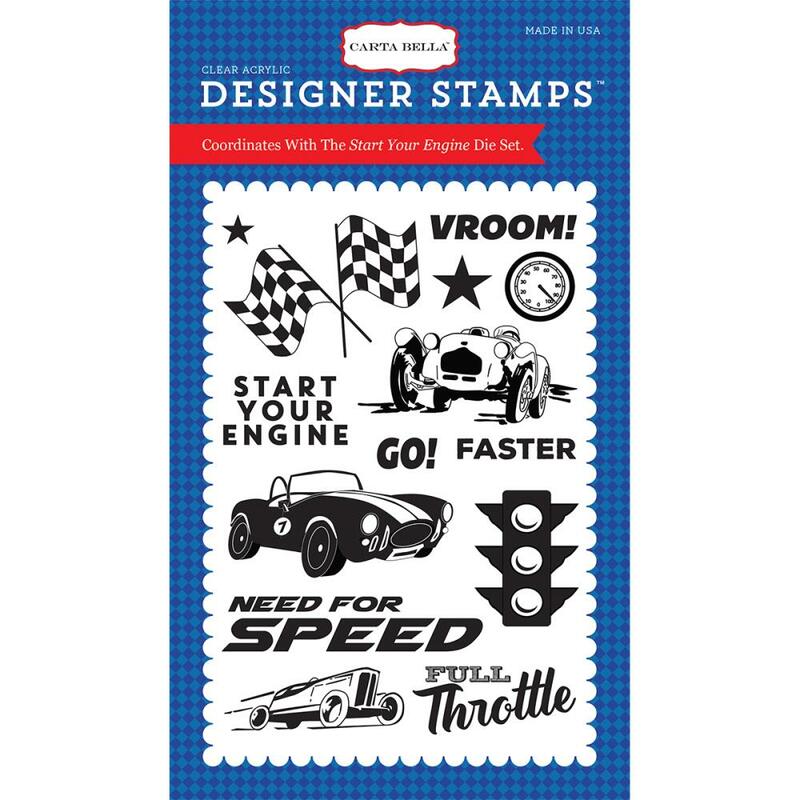 The number 7 racing car stamp measures approx. 2.375" x 1.15"